Reduced shapes and clean lines - Konstantin Side Table truly embodies what an essential piece is: an elegant look full of reﬁnement and modernity. 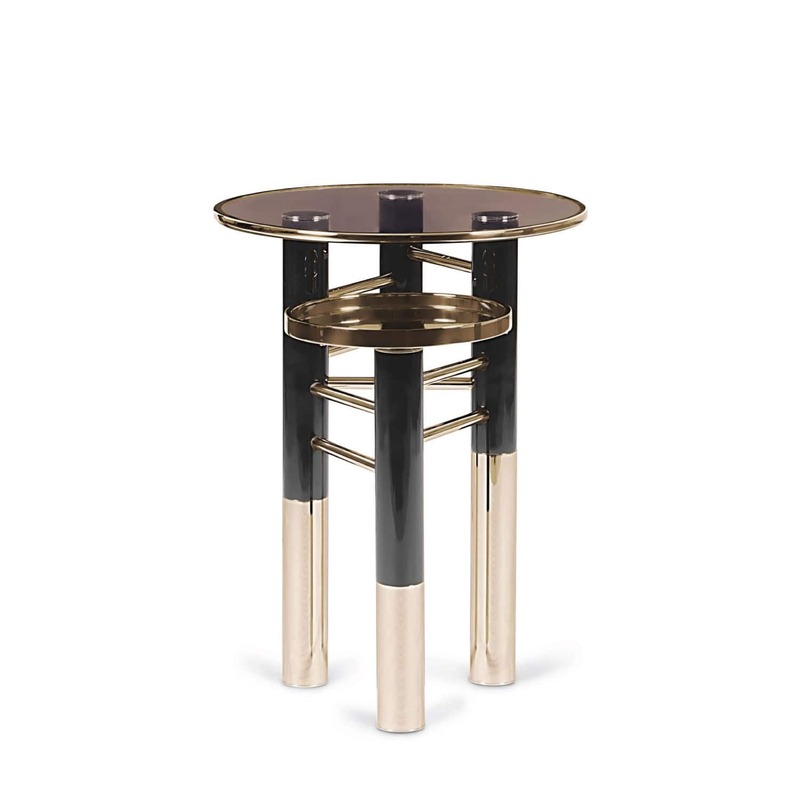 This side table features a brown smoked glass top with a gold trim and a gold plated tray to give extra functionality to it. 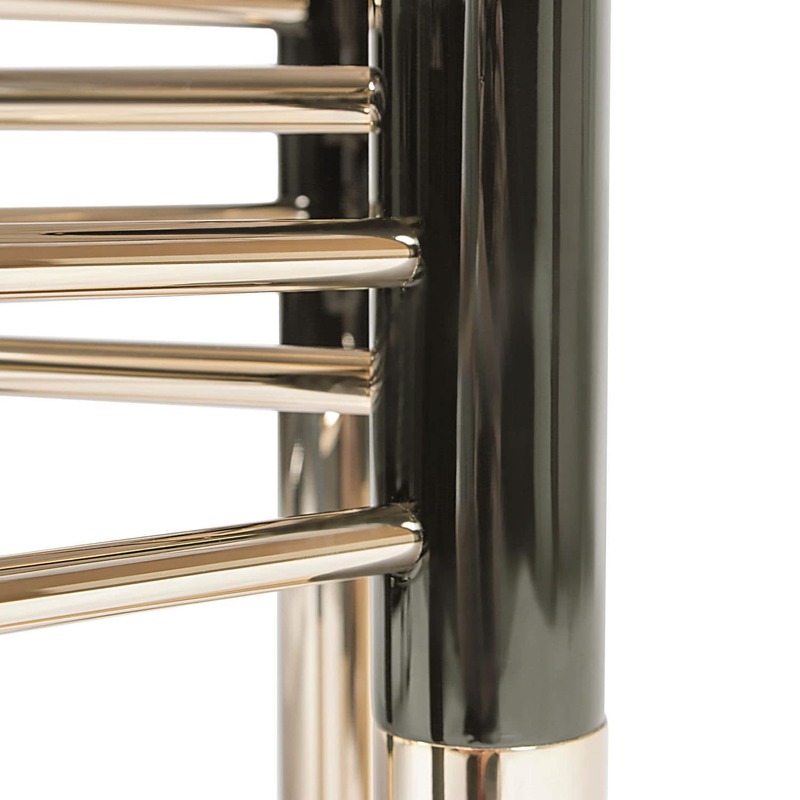 Four neat gold plated black legs are ﬁrmly kept in place by a set of brass tubes.